ERS Marine are the UK/EU Stockists and Distributors for the SynDeck Marine range of IMO Flexible Resin Systems. 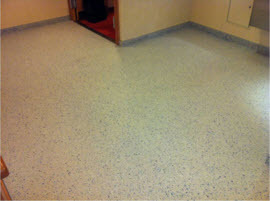 An IMO and UK Navy approved trowel applied, self smoothing flexible resin coating. These systems benefit from excellent chemical and moisture resistance and offer a technical solution in areas where stress and vibration cause cracking and de-lamination problems when using standard latex screeds. Decorative flakes and matt seals are avaliable in numerous colours and finishes. You can find our IMO Flex Case Study here.